The Old Stone House, a modest and less known historic site and park a decade ago, is now bustling with activity and widely recognized on a local and national level. With over 500,000 annual users and unmet demand each day/year round, the current Old Stone House & Washington Park infrastructure found itself over capacity in its ability to serve public requests to use the site for recreational, cultural, and educational programs. 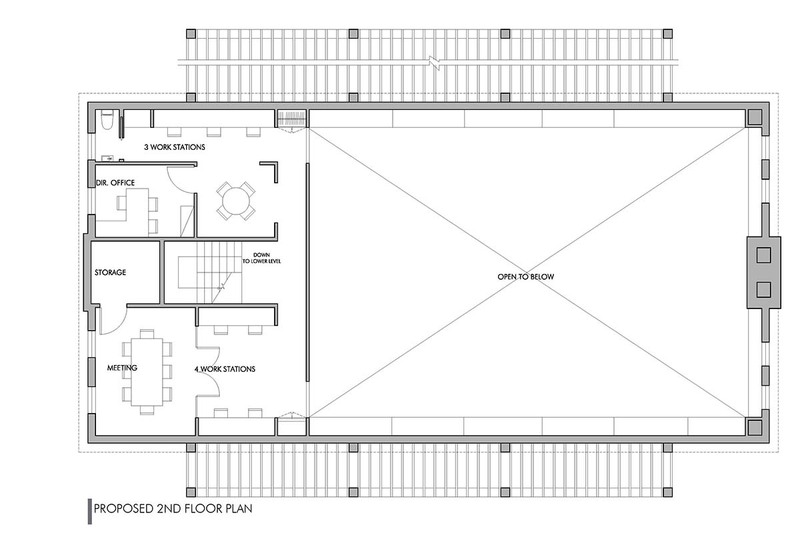 To meet this need, MDA designgroup developed a conceptual plan for a new 4,500 square foot flexible-use structure to complement the services housed in the existing Old Stone House which would triple its capacity to serve the community by offering more space, a wider range of activities and improved park services. 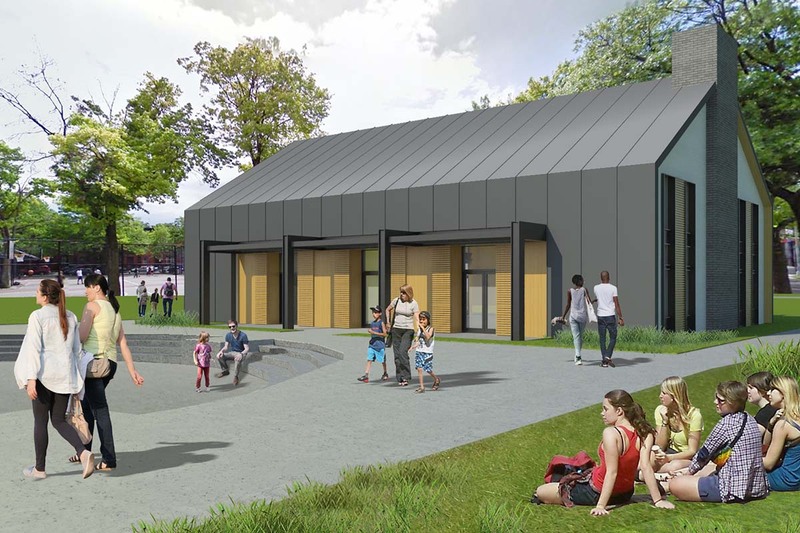 MDA’s master plan for the site includes renovation plans to significantly improve the treasured 2,700 square foot existing structure as well as site plan improvements for an amphitheater-like gathering place in Washington Park at the nexus of the two complementary structures. Three public listening sessions helped bring valuable community input that shaped the conceptual plan. 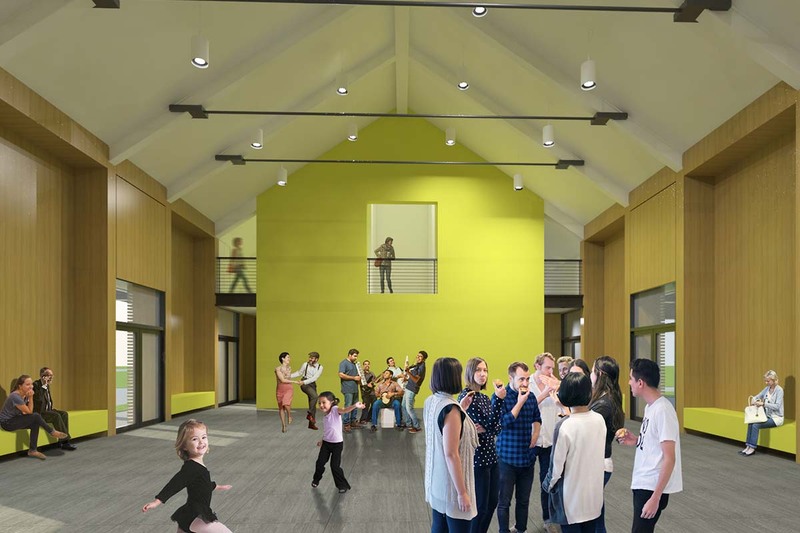 The new structure contains a double height multi-purpose space to accommodate Old Stone House sponsored activities as well as to serve the demand to rent the site for special events. The space connects visually and physically along its perimeter to the site – allowing programming to easily spill out into Washington Park. Pergolas along its east and west side patios mediate the transition and provide shaded outdoor space. A new hearth at the north end of the space supplements the outdoor and indoor hearths at the original building which are actively used in its educational and recreational programming and are key symbols of the site’s Revolutionary War history. 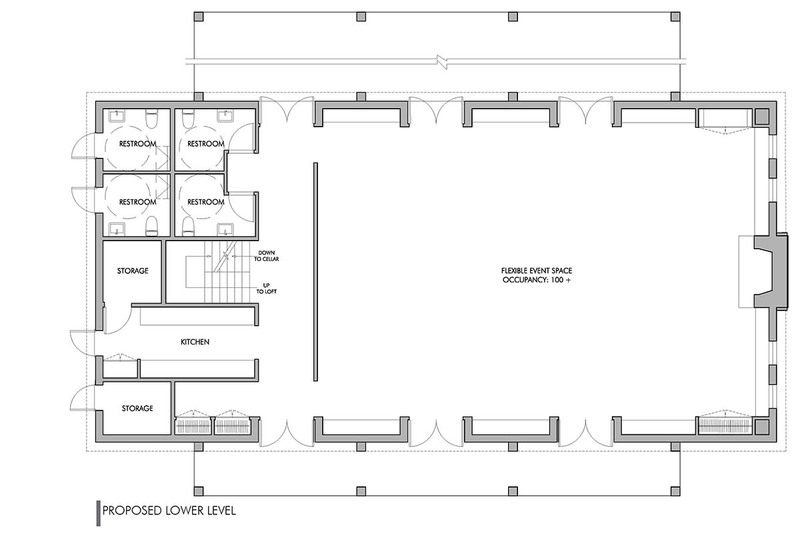 The two level southern end of the structure contains serving kitchen, storage and a set of interior-accessed restrooms in addition to a set of park-accessed restrooms below a classroom/meeting space and space for the Old Stone House’s administrative staff. The master plan serves as the basis of the ongoing capital campaign. 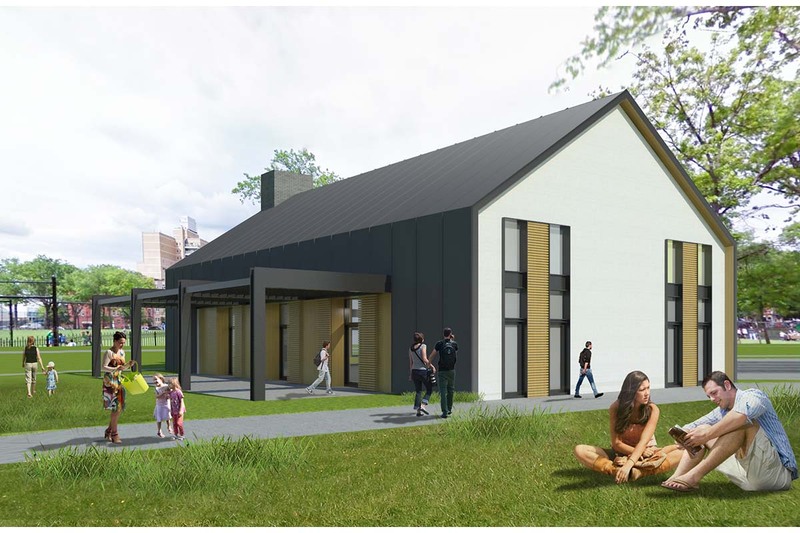 The proposed changes reflect the revolutionary spirit of the historic site and the commitment to youth and community that the site currently nurtures.